WSJ report: Apple building a minivan-like electric car to rival Tesla. 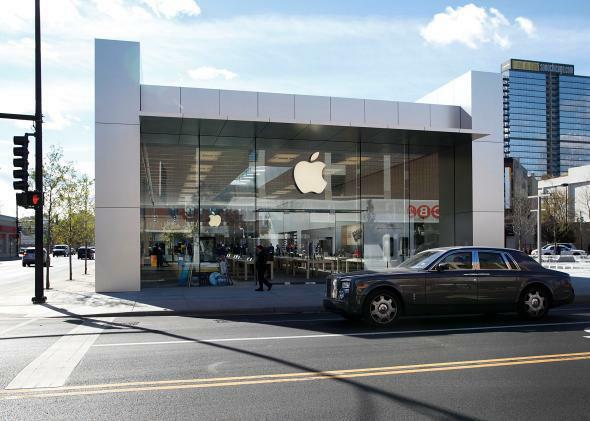 A car drives by an Apple Store in Chicago, Illinois, in 2010. 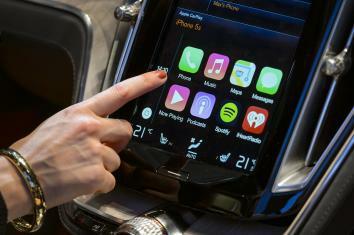 Apple is now rumored to be building a car of its own. In January, I wrote a column making the case that cars are the new computers. I predicted that 2015 would be remembered in the technology industry as “the year of the car.” If reports from the Wall Street Journal and the Financial Times on Friday are accurate, that could be truer than I imagined. Apple declined to speak with me about the report, saying it won’t comment on rumor or speculation. It also declined comment to the WSJ. So, first things first: Whenever you’re basing a big news report on unnamed “people familiar with the matter,” you’re bound to end up with something less than the full story. That said, the WSJ is not the New York Post: It doesn’t go with a story this big unless a lot of editors are convinced there’s something to it. The story includes plenty of caveats, including the biggest, which is that “Apple may not decide to proceed with a car.” It could just be an idea they’re experimenting with. So far, Apple has focused on in-dash software, like its CarPlay platform. If so, however, it does not appear to be merely the idle noodling of a tech company pondering its next move. The WSJ reports that former Ford Motor Co. engineer Steve Zadesky is leading the project, approved by CEO Tim Cook a year ago. He has been given a 1,000-person team to work on it. You do not put a 1,000-person team on a product you don’t have at least a very strong hope of turning into a reality. Not even if you’re Apple, one of the richest companies in the history of the world. Nor is the WSJ the only outlet that has picked up on the automotive rumblings emanating from Cupertino. Its report followed a story earlier Friday in the Financial Times that Apple has been recruiting automotive designers to work in “a new top-secret research lab.” Among Apple’s stealth hires: a former Mercedes-Benz research and development chief. Apple would not be the only Silicon Valley giant to try its hand in the car business. Google has been working for years on self-driving car technology, and it’s now said to be in talks with major automakers to bring that to market. Meanwhile, Tesla has found enormous success building all-electric luxury cars, and last year it took the bold step of making its patents public in hopes of encouraging rivals to join it in the electric-car business. If it’s true that Apple is getting into the game, Tesla may get even more competition than it bargained for. The reports come a year after reports that Tesla was meeting with Apple about a possible deal or merger. Maybe Apple wanted to explore that option before it decided to build a vehicle of its own. The Apple Car's packaging is going to be the best box for a car yet. Is Apple Looking Into Making Cars?